You Are Here: Home > 2019 INFINITI QX50 vs 2018 Lexus NX | Which is Better? Compact and athletic, the 2019 INFINITI QX50 and 2018 Lexus NX are crossover SUVs that have five seats. Running on the all-new VC-Turbo engine and traditional Xtronic transmission, the QX50 outperforms the NX on many levels. This premium INFINITI also boasts industry-leading safety technology, including the Backup Collision Intervention and ProPilot Assist. The 2019 INFINITI QX50 runs on the all-new VC-Turbo engine that has a displacement of 2.0 L. This compact powertrain is capable of producing 268 horsepower and 280 pound-feet. In fact, the sophisticated Variable Compression technology makes its highly anticipated debut in 2019. By contrast, the 2018 Lexus NX’s 2.0 L engine uses conventional turbocharging to deliver up to 235 hp and just over 250 lb-ft. Thanks to the Active Torque Rod, the QX50’s powertrain doesn’t produce much noise. This innovative technology essentially dampens mechanical vibrations that come from the engine block and other connected components. Managing the 2019 INFINITI QX50 is easy with some help from the Direct Adaptive Steering, which analyzes multiple parameters up to 1,000 times per second. The Lexus NX uses a traditional power steering system that’s just not as versatile or responsive. Instead of using an automatic mechanism to switch gears, the QX50 relies on the Xtronic CVT. You won’t be limited to just a few gear ratios with this patented transmission that mimics automatic and manual operations. The 2018 Lexus NX is driven by an electronically controlled transmission that only offers up to six settings. Rolling on the Intelligent AWD, the QX50 won’t be hindered by poor weather or harsh conditions. This advanced drivetrain is more sophisticated than the NX’s classic AWD. However, this Lexus offers three custom modes that are tuned for distinct driving conditions. Featuring four settings, the Drive Mode Selector in this INFINITI offers even better performance. The Personal Mode could be programmed according to your unique driving style. If you want to conserve fuel, just turn on the Eco Mode. The Standard and Sport options could also be instantly activated based on real-time demand. As the name suggests, the 2019 INFINITI QX50’s Forward Emergency Braking applies the brakes when a front crash is imminent. This semi-autonomous braking system detects pedestrians, vehicles and other obstacles in your way. Powered by sonar and radar sensors, the Backup Collision Intervention is one of the most advanced accident-avoidance features on the current auto market. Whether you’re driving on an open highway or in a busy urban street, the ProPilot Assist technology provides extra reassurance on any road. Some of the QX50’s other top driving aides include the Lane Departure Prevention and Blind Spot Intervention. Despite having the Intuitive Park Assist and rain-sensing wipers, the 2018 Lexus NX can’t compete with this INFINITI’s safety technology. 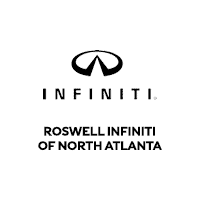 Roswell INFINITI has the 2019 QX50 Pure, Luxe and Essential for sale and lease. Come to our dealership and test drive these compact crossover SUVs that surely beat the 2018 Lexus NX in performance, technology and safety.